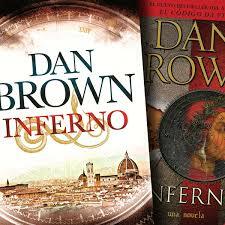 Inferno by Dan brown: A Short Review. Inferno is the latest (published in 2013) work of best-selling author Dan Brown, the author of the widely read Da Vinci code. It’s a breathtaking thriller that featured Harvard Professor of Art History and Religious Symbology, Robert Langdon. In this compelling and thought provoking literary masterpiece, Dan Brown combines the highest form of edge-of-the-seat, suspenseful art of storytelling with a good knowledge of Renaissance art, History, Medicine, Biotechnology and Philosophy as he tells the tale of Robert Langdon’s chase across the city of Florence. In a series of twists and turns and great suspense, the story is told of how Robert Langdon finding himself in Florence with some form of amnesia tries to unravel the mystery of visions that border on the apocalyptic; urged on by the enigmatic words: seek and find. Along with Sienna Brooks, a young doctor and child prodigy, Robert is led into a breakneck chase across the city of Florence armed only with his knowledge of hidden passageways and ancient secrets that lie behind the historic façade of the city as they try to escape from the clutches of their unknown pursuers who seem to be after his life and find what he was instructed to seek. Woven around the fourteenth century epic poem, Dante’s Inferno where hell is compartmentalised based on severity of sins and the life one lived, Robert (contracted by the World Health Organisation) is in a race to retrieve a biological weapon that threatens the fate of humanity; the weapon having being developed by the Swiss billionaire and geneticist, Bertrand Zbout the necessity of humanity bettering its own lot by using to the full the technologies at its disposal; thus engineering a better and stronger human species - the transhuman. Bertrand, however believes that the current world population trend is foreboding obrist, a leader in the transhumanism movement whose philosophy is aand only a deliberate attempt at culling the human species will allow this transhumanist dream come true. With enigmatic words, thoughts and pictures derived from the poem, Inferno, Zobrist, a science prodigy himself and a Dante Scholar, hid the biological weapon which could be a threat to the world if not found on time. The knowledge of the thirteenth century poetry, the Divine Comedy, and other works inspired by it and the city of Renaissance Italy including its sculptures, architecture, politics and government and Sienna’s theatrical and sometimes martial art skills became necessary tools as they go around the picturesque city of Florence trying to decipher Zobrist’s codes and retrieve the said weapon before it becomes too late. In this book filled with intrigue, suspense and surprises, Dan Brown has gifted to the world another literary masterpiece that will grab your attention from the beginning and keep it riveted on the pages of the book until you close it; not only that, it leaves you asking for more.